The August edition of Cinefex is out, and I’m chuffed to have the cover with my article on Solo: A Star Wars Story. I had a whale of a time researching and writing this one, interviewing the visual effects team at Industrial Light & Magic, creature designer Neal Scanlan, special effects supervisor Dominic Tuohy and many others. You’ll hear more from Ron in the complete article, along with a ton of juicy behind-the-scenes stories explaining exactly how the design and effects teams made their movie magic. With the Millennium Falcon on the front cover on Cinefex 160, I naturally went all sci-fi with this issue’s accompanying promo video. It’s a mere minnow compared to the whale-sized visual effects feast that is Solo: A Star Wars Story, but I had a heap of fun putting it together. 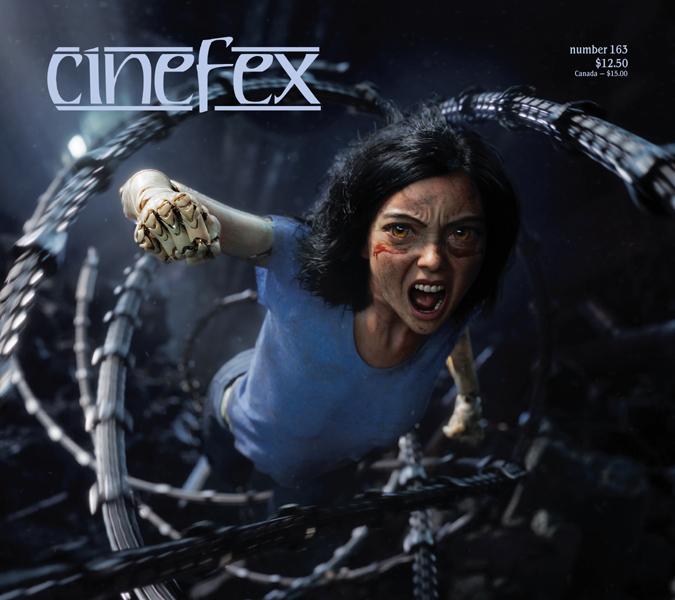 The print edition of Cinefex 160 is on newsstands now, and available to order at the online store. The iPad edition features tons more photographs and exclusive video content, including visual effects breakdown reels for Ant-Man and the Wasp and Solo: A Star Wars Story prepared especially for Cinefex by Marvel Studios and ILM respectively.